S. Jackson and King St. 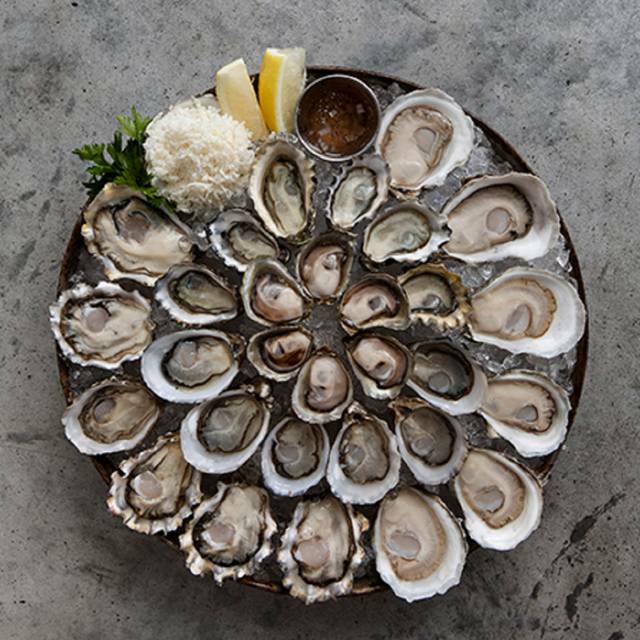 Since 1890, the Taylor family has been farming premium shellfish and is THE iconic "Tide to Table"
Virginica, Beach Grown: Totten Inlet, Olympia, WA. Taylor Grand CRU, Pacific Tide Tumbled: Bay Center, WA. Kusshi, Pacific Barrel Tumbled: Bayne's Sound, Vancouver Is, B.C. Really enjoyed the oysters, geoduck and crab! Excellent service too. They took great care of us and made us all feel welcome. Had to visitors from New Zealand trying geoduck for the first time. Excellent presentation and food! The atmosphere was a bit loud but it was festive and apparently there was concert nearby. It was a bit hard to hear conversation but the crowd was happy and it made up for the noise. Excellent place in Seattle for oysters! Finally found the restaurant after having been given directions to their corporate office nearby. Joined old friends from Seattle for a fantastic dinner of fresh oysters and clams. Our server was excellent and very knowledgeable of the food and wine. The owner joined us near the end of the evening and shared a rare bottle of French Apricot brandy with us. Really a delightful place in historic Pioneer Square. Oysters were smaller than I thought, not too many portions or creativity for flavor combination outside the kind of oyster.